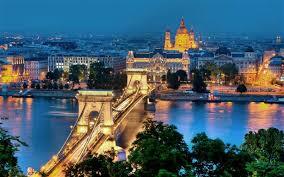 Budapest is not only the capital of Hungary but its largest city and one of the largest cities of the European Union. This fascinating city has been referred to as the “Little Paris of Middle Europe”. In this city tourists can see relics from Roman occupation and from the rule of the Turks. 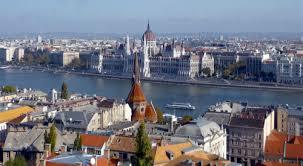 The city is divided up into two sides by the Danube River. On one bank is Buda and on the other Pest. Suburban Buda is a wonderful place to explore with its historic castle district which includes medieval streets, houses, museums, caves and Roman ruins. On the Pest side visitors can see the largest parliament building in Europe and walk on riverside promenades among other activities. Take a walk back into history along the cobblestone streets of Castle Hill. You can visit Trinity Square, Matthias Church and Fishermen’s Bastion among other fascinating sights. Visitors can also sign up for a walking tour. The incredible Chain Bridge spans the Danube between Clark Adam ter on the Buda side and Szechenyi Istvan ter on the Pest side. This bridge was the first bridge to permanently connect Buda and Pest. It is a short but lovely walk across the bridge and well worth it for the spectacular views. In the evenings the bridge is all aglow in lights. Every weekend during the summertime festivals are held on the bridge. Crossing over to the Buda side you’ll come to Clark Adam Square where you can take a Funicular up to Castle Hill. On the Pest side you come to a busy square right in the city center – Szechenyi Istvan Square where you will find the Hungarian Academy of Sciences and Gresham Palace. One of the oldest buildings in Buda is Matthias Church which is also a museum. The frescoes found in this church are the works of famous Hungarian painters. The church also hosts concerts that feature Hungarian and foreign musicians. One of the most popular concert series is “Sunday Organ Night at Matthias Church”. The church is located on Castle Hill. Buda Castle was the first royal residence built on Castle Hill in the 13th century. Once the castle would be destroyed it would be rebuild and the rebuilding of the Royal Palace continued in the 19th century. The final time it was rebuilt was after WWII in the Neo-Baroque style. .Today the Buda Castle is home to the Hungarian National Gallery, the Budapest History Museum and the National Library. Other spectacular things to see here include the Lion Courtyard; the Matthias Fountain, bronze statue of King Matthias and the statue of the Turul Bird that counts as the mythological bird of the Magyars. For panoramic views visit Gellert Hill which is a residential area with private homes and embassies that line the streets winding up the hill. This is also a World Heritage Site and is a part of “the Banks of the Danube” area. At the foot of the hill is Gellert Square where visitors will find the famous Hotel Gellert and the Gellert Baths. Tourists admire the St. Gellert Monument – a colonnade and the statue of St. Gellert commemorates the bishop in whose name this hill was named. There is the Citadel fortress that was built after 1849 by the Habsburgs. It is now a tourist attraction but at one time is was a military checkpoint, a prison and an anti-aircraft missile launch pad. Take . the time to see Budapest’s Statue of Liberty standing on top of Gellert Hill from which point you can see all over the city. 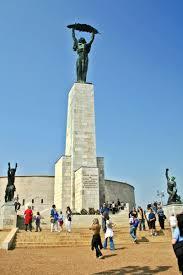 This statue the work of Zsigmond Kisfaludi was erected during the Communist era. It has become a symbol of the city. It was built in remembrance of those who sacrificed their lives for the freedom, independence and prosperity of Hungary. There is a network of caves in Gellert Hill and the first modern entrance to them was built in the 1920s. During WWII the Gellert Hill Cave was used as a chapel and a field hospital. It continues to serve as a church and belongs to the Hungarian Paulite order. It is a most unique place to visit. Take the time to stroll on Andrassy Avenue which features lovely turn-of-the-century buildings and is a great place to sit and relax in a café watching the people pass-by. It is quite a long avenue and if you get tired right beneath it is the Millennium Underground Railway. One impressive building is the State Opera House. For the fashion conscious this is the place where you’ll find high-class boutiques with labels like Burberry, Louis Vuitton and Gucci. You’ll notice that the intersection of Andrassy Avenue and the Grand Boulevard has an octagon shape so it is known as Oktogon. Today it is a very busy square and it is home to the world’s largest Burger King. When you want to take leisurely walks and get off the main streets head over to City Park. This is the largest park in Budapest. The first walkways and trees were set up here in 1751. The park was created in the first decades of the 19th century making this the first public park in the world. There is plenty to do and see in this park like a replica of a Transylvania castle – Vaidahunyad Castle. It is a combination of Romanesque, Gothic, Renaissance and Baroque. You’ll discover the statue of Anonymus, the nameless medieval chronicler to King Bela in the courtyard. The history behind it is that there were four kings named Bela during the twelfth and thirteenth century so since it was hard to identify which one his face is hidden by a hood, making him appear anonymous but still representing an important and interesting historical figure. This castle is surrounded by an artificial lake which is used for boating in the summers and for ice skating in the winters. Within the park you can visit the Budapest Zoo, the Amusement Park, the Municipal Circus, the Museum of Transport, the legendary Gundel Restaurant and the famous Szechenyi Baths. Besides all of this there are also playgrounds, slides, wooden castles and monkey bars keeping little ones busy. Every weekend by Petofi Csarnok there is a flea market. These are just some of the highlights of Budapest. There is a whole lot more to see and do in this vibrant and exciting city.